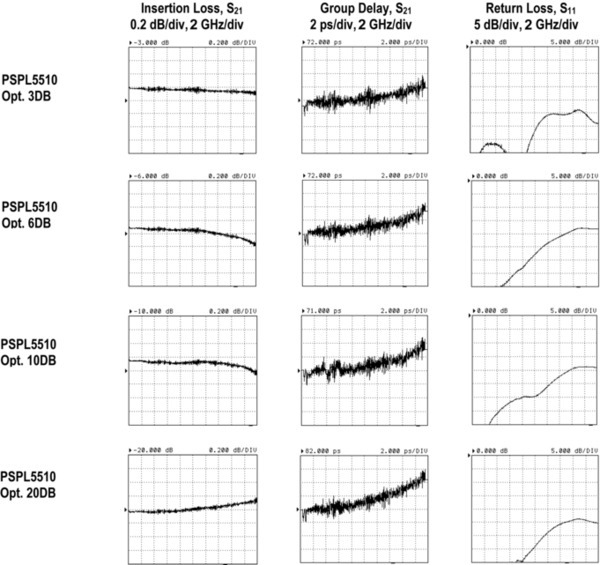 The PSPL5510 Attenuators address a need that has been totally ignored by other microwave component manufacturers who specify their products in the frequency domain, but ignore the time domain responses. For time domain measurements, it is important to also know the transient response of attenuators used in a test set-up. 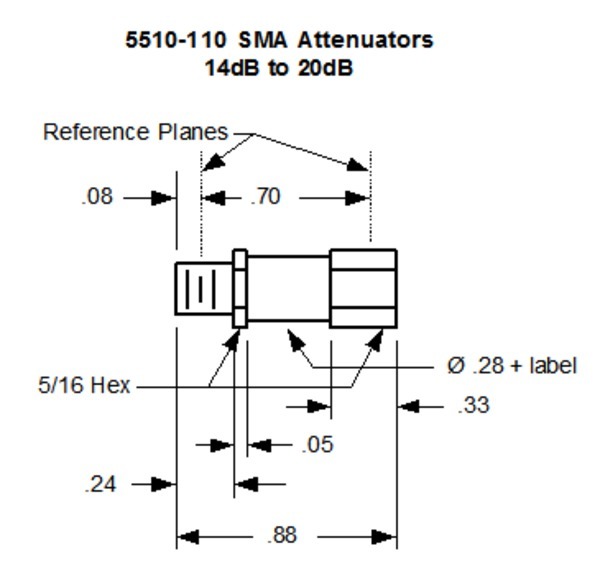 These SMA attenuators have 8 ps risetimes and are recommended for measuring pulses with risetimes of 25 ps or slower. For frequency domain measurements, the useful frequency range is DC to 18 GHz. The 6 dB, 12 dB, 14 dB, and 20 dB values are popular for use as oscilloscope attenuators because they give simple, integer, voltage ratios of 2x, 4x, 5x, and 10x, respectively. Temperature Range -65 to +125 °C operating and storage, 0.0001 dB/dB/°C temp. coeff.